Sub-Business Items | EM Engineering Inc. Excellent Shielding and Rf Absorbing quality for RF diagnostic trouble shooting. 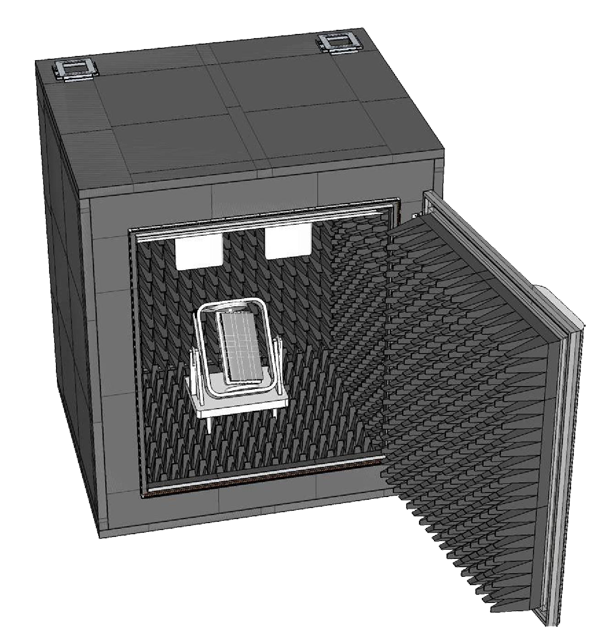 Shielded Box with Flat Absorbers can be designed with various dimensions by the customer’s request. Diagnostic Cage meets all requirements and ISO 10605 standard. As a trouble shooting and diagnostic tool, shielded absorber-lined shielded case is a valuable tool for the engineering development process. Diagnostic cage is portable testing tool for such as small antennas. Especially suitable for testing high frequency antenna measurement or proto type development. 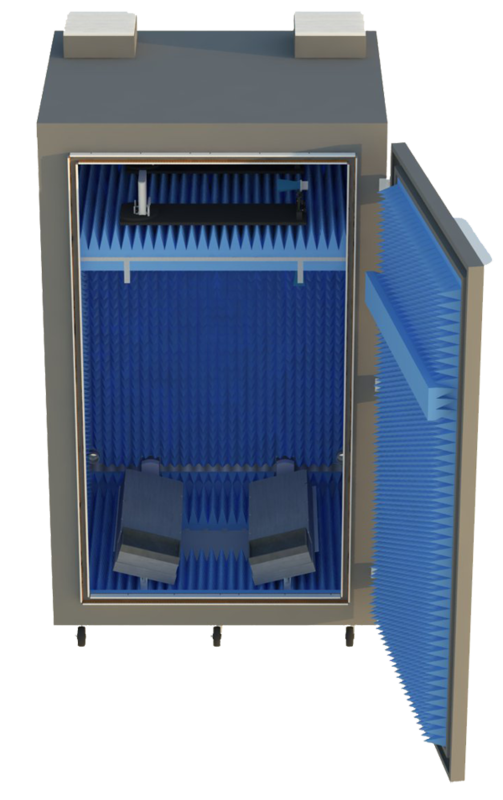 - Absorbing materials could be selected following cutoff frequencies with -20dB reflection loss are from 0.6 ~ 20GHz. - Various dimensions by the customer’s request. - Small and High frequency antenna testing tool. - Easy access and various interfaces are available by the customer's request.